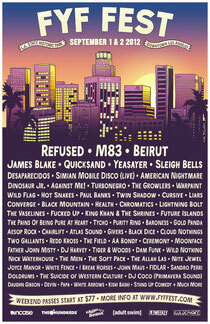 FYF Fest announced its return to the Los Angeles State Historic Park in downtown Los Angeles. 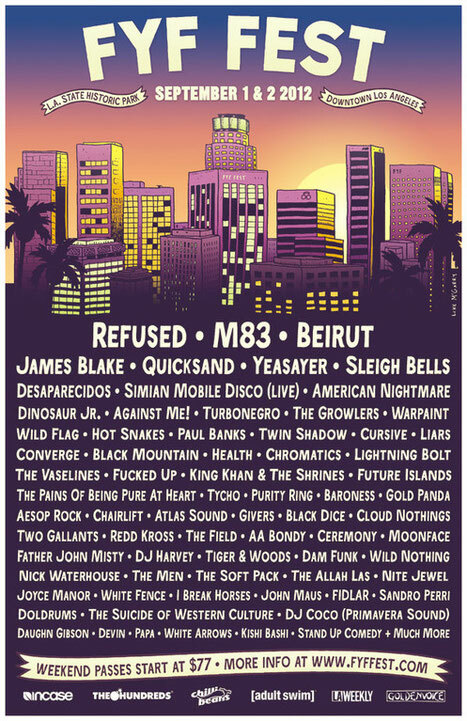 Taking place on Sept 1st and 2nd, the festival will include performances by Refused, M83, Beirut, James Blake, Yeasayer, Sleigh Bells, Desaparecidos, Dinosaur Jr, Against Me!, Hot Snakes, Twin Shadow, Chromatics, DJ Harvey, Liars, Paul Banks from Interpol, the return of Quicksand and many more. I'm no longer certain where you're getting your info, however great topic. I needs to spend a while studying much more or working out more. Thank you for fantastic info I was in search of this information for my mission.